To view 12 more pictures, interactive maps and the full, detailed description of the Edinburgh Meadows community, please Login. Work with a custom home builder to bring those real estate dreams to life in Edinburgh. This new construction community affords residents the luxury lifestyle they deserve at a price they command. Living in this area of Chesapeake, VA, gives residents an easy commute to military bases like Naval Air Station Oceana, the Coast Guard Finance Center and Naval Support Activity Northwest Annex while giving them some much needed peace away from city distractions. Just driving through this real estate development lets homebuyers know this is the place they can indulge themselves in that home they always wanted. New construction meets opulence to give residents the attention to detail they demand. Traditional elegance is shown through the work of each custom home builder in the architecture of houses. A typical house design at Edinburgh may include a front porch, sunroom, gourmet kitchen, patio and so much more. Life in this exclusive real estate alcove does not come without its privileges. Immaculately landscaped grounds are the backdrop for new construction homes. It takes the work of an experienced custom home builder to seamlessly integrate nature and architecture so well together. Residents of Edinburgh can bike, jog or walk through neighborhood trails. Homeowners can enjoy sunsets and sunrises over one of the community lakes. Living in this part of Virginia is one of the nicest perks of residing in these new construction homes. Is a quality education still possible in a public school system? Many people throughout Hampton Roads believe so and want their children to go where that feat is still possible- the Hickory school district. Residing here gives children the opportunity to attend these highly sought-after schools. Restaurants, churches, entertainment and shops are nearby as well. Appreciate nature in the Great Dismal Swamp State Park or work on that tan at the beaches of the Outer Banks. Want to have that premier address in Hampton Roads? 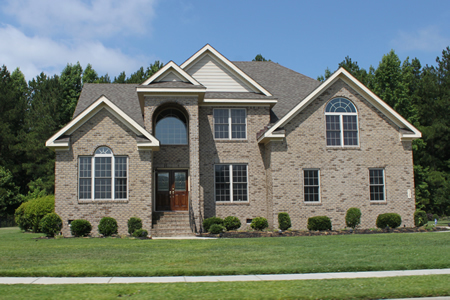 Want to work with a custom home builder to ensure that new home is the right home? Want to buy a lifestyle, not just a piece of real estate? If the answers to any of these questions is “yes” then Edinburgh could be the one. Other Builders: Area Builders of Tidewater, Charles A. Schmitt, Cohen Homes, J.F. Schoch, Precon Development, Sadler Building Corp., Wilmik Homes, Summit Construction Corp. Send me more information about the Edinburgh Meadows new home community. Our agents gladly offer FREE property tours of Edinburgh Meadows, Chesapeake and homebuyer consultations to all serious buyers.